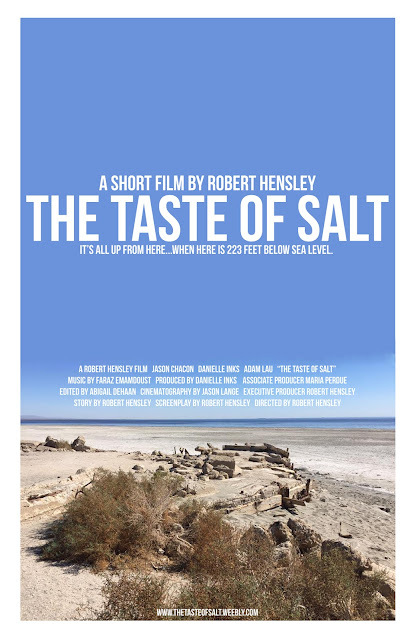 Robert Hensley's latest short film, THE TASTE OF SALT, is now being screened as an official selection of the February 2017 Direct Monthly Online Film Festival. Set at the Salton Sea, the film takes advantage of the unique landmark to tell the story of a young man trying to recover from a breakup with his longtime girlfriend. Watch and rate the film at www.dmoffest.com. Learn more about the filmmaker at www.iamroberthensley.weebly.com.